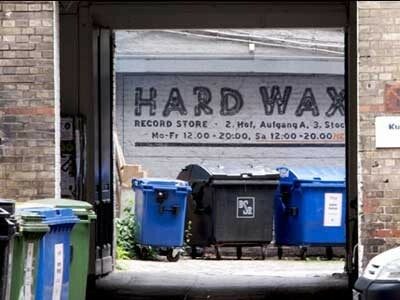 Hard wax has a big and very great choice of techno, house, disco and reggae. There is most often many copies available of each record, so you will get a sealed copy most of the time. The shop has accessories like “Shure” and “Ortofon” cartridges, record bags, and T-shirts for sale. Hard wax is in a very unique location. The shop is on the third floor in a backhouse, just next to the “Kottbuser Brücke” in Kreuzberg.